If you are on the crossroad not knowing what to do, ladies, I am here to inspire your. We all appear in a situation that long hair is too long and short hair is too short.In such a complicated case, I have a perfect solution medium hairstyles that are a life saviour for thousands of women. they are easy to maintain and take care of, still they can be styled in hundreds of ways. 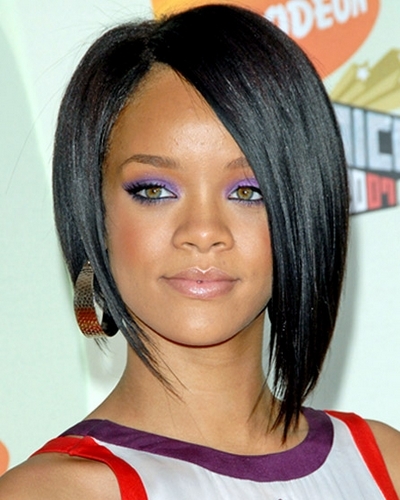 The most popular among shoulder length haircuts are bob haircuts and layered shoulder length hairstyles. Bob haircuts have come to us through decades and they won't loose popularity I am sure. Great thing is that bob can fit any face shape cause it can be different: short bob and long bob, center or side parted, it can be A-line bob haircut, or totally asymmetrical bob. So any face shape can find its own bob hairstyle. Layered shoulder length haircuts are great for curly hair, to define curls and layers separately. For straight hair choppy layers will add the unique look you want. And for sure we finally arrive to the point: medium hairstyles with bangs. Bangs can change in an instance the whole style of your image. So let's take a look at the most ingenious examples here. Relaxed and natural looks of such a midi haircut with bangs will turn heads around cause the girl looks nothing but angelic. Natural curly hairstyle and natural curly bangs make a fun and fancy hairstyle. Hairstyles with bangs can be styled in many ways, such a cute twist is one of them. 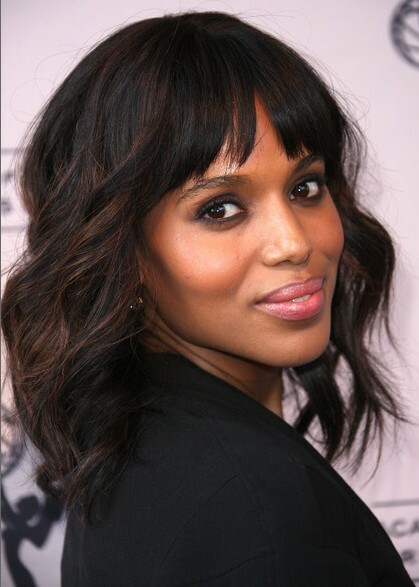 Shoulder length hairstyles for wavy hair look awesome with blunt cut bangs. You can have this flattering shoulder length hairstyle by simply tousling hair after washing and applying hair wax, natural and very nice. Rihanna always surprises with new unimaginable hairstyles. This asymmetric bob haircut with long bang looks very stylish and elegant, combined with deep black hair color it is even more fabulous.